For material handling reaching heights up to 55 feet, Sims Crane & Equipment has a wide variety of rental lifts available from the leading worldwide forklift manufacturers. As the leader of vertical access solutions, we have forklifts available for sale or rent in our inventory that can handle most any lift rental need. Rental lifts are available for daily, weekly and monthly rental periods, and lift rental insurance is available to cover incidental damages occurring during safe working conditions. 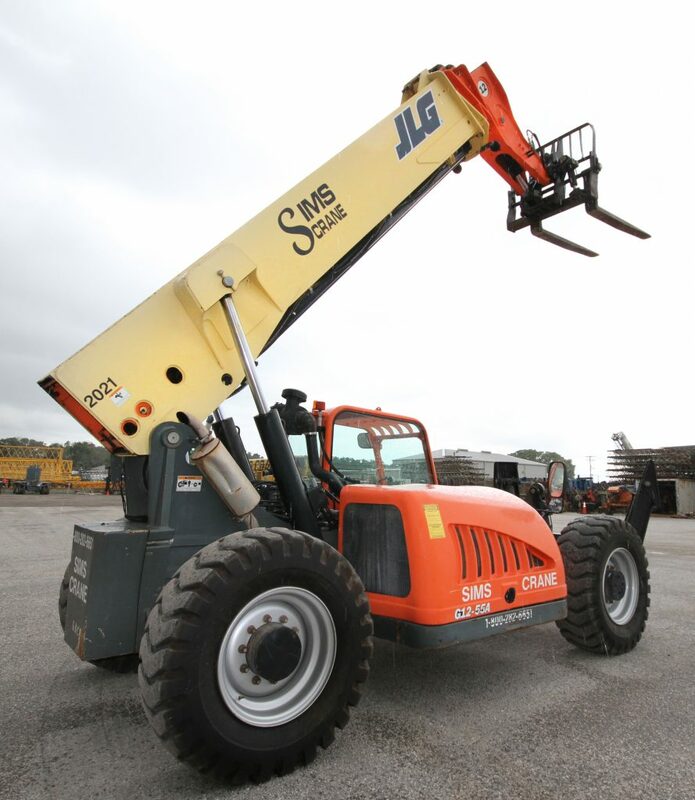 When you rent equipment from Sims Crane & Equipment, you can rest assured that the equipment will be in top working condition. We are proud to have one of the largest service departments in the industry, along with a huge inventory of parts for equipment such as JLG, Tadano, Kobelco, JLG and more. Our experienced, factory-trained service team performs inspections and regularly scheduled maintenance on all of our rental equipment to minimize down-time and keep your job on schedule. Should a problem occur, repair services are available 24/7. Parts can even be dispatched to the job site when needed for a repair. Sims Crane & Equipment has you covered on any rental lifts needed on your projects in Tampa, Miami, Orlando and throughout Florida. Contact one of our equipment specialists for any questions you may have or to schedule any equipment rental.